Arrive Amritsar Railway Station. On arrival meet and greet by our representative who will take you to the hotel. 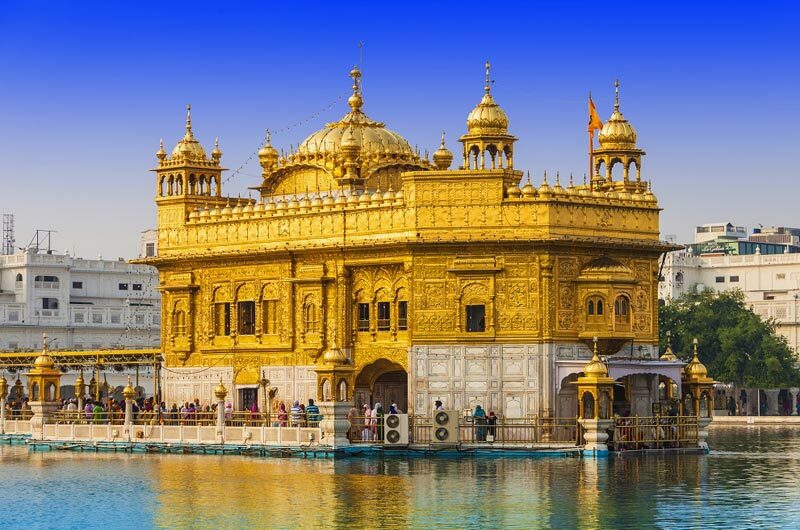 Start your city tour with the blessings of Golden Temple-the most important Sikh shrine also known as Harimandir Sahib and Darbar Sahib. Then visit Jallianwala Bagh- the place that reminds every Indian of the brutal and hearless massacre by British general Dyer. Visit Durgiana Temple: - The temple complex houses Shree Laxmi Narayan Mandir with a huge pond on its periphery .Maharaja Ranjit Singh Museum and Panorama in Ram Bagh The landscaped garden with summer palace of Maharaja Ranjit Singh in the center. 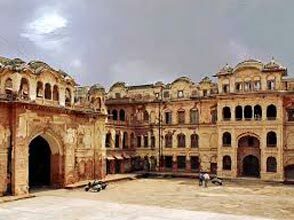 The Maharaja later named it Ram Bagh. 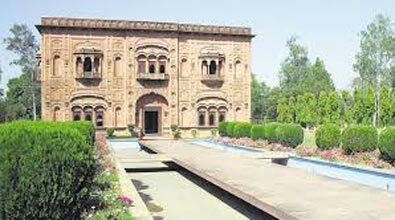 It has a museum with relics of Mughal era and hand drawn sketches and portraits of the ruling Sikhs. Pushpa Gujral Science City, Kapurthala Morning drive to Jalandhar on arrival in jalandhar hotel then start your city tour with Pushpa Gujral Science City is being built with its aim of learning, fun & amusement out of Science for people of all ages & all walks of life. It will arouse creativity in young minds; help in building a scientific temper in the state, Gurdwara Chhevin Padshahi Guru Hargobind visited the city of Jalandhar during his tour of Doaba area. Gurdwara Chhevin Padshahi in Basti Shaikh, Jalandhar city, stands on the spot where Guruji granted interview to a Muslim holy saint popularly known as Shaikh Darvesh, Devi Talab Mandir It is situated in the heart of Jalandhar City. The old Devi Talab has been renovated and, in its centre, a new temple has been built. Overnight stay in hotel. Pushpa Gujral Science City, Kapurthala Morning drive to Ludhiana on arrival in Ludhiana visit Sri Dukh Niwaran Sahib is though not a Historic Place, still doing very well in Spreading Sikh Guru's Message to All Over. Ludhiana is an industrial town, but it is having few places for Tourist interest also. 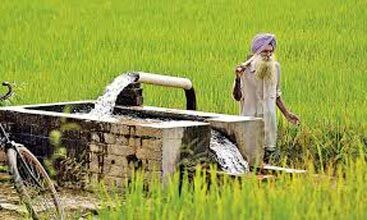 Whoever comes here has never gone back without imbibing the essence of Punjab. Later drive to Patiala on Arrival in Patiala check in hotel. Start your tour Qila Mubarak Complex The Qila Mubarak complex stands in 10-acre ground in the heart of the city, and contains the main palace or Qila Androon (literally,'inner fort'), the guesthouse or Ran Baas and the Darbar Hall. Sheesh Mahal was built behind the main Moti Bagh Palace to serve as a pleasure complex.The paintings in two of its well maintained, mirror-worked chambers are of Kangra and Rajasthani qalam, depicting the poetic visions of Keshav, Surdas and Bihari. Gurdwara Dukh Nivaran Sahib: This shrine is situated in what used to be the village of Lehal, now part of Patiala city. Sheesh Mahal, Patiala According to local tradition, supported by an old handwritten document preserved in the Gurdwara, one Bhag Ram, a jhivar of Lehal, waited upon Guru Tegh Bahadur during his sojourn at Saifabad (now Bahadurgarh), and made the request that he might be pleased to visit and bless his village so that its inhabitants could be rid of a serious and mysterious sickness which had been their bane for a long time. Overnight stay in Patiala. 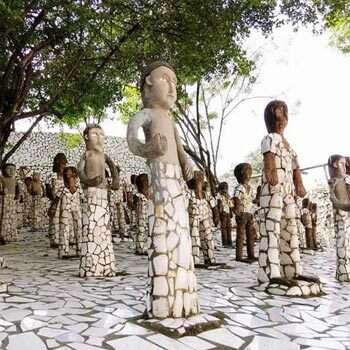 Pushpa Gujral Science City, Kapurthala Start your city tour with Rock Garden which consist of various arts and objects made of industrial and urban waste. It is situated in sector-1. 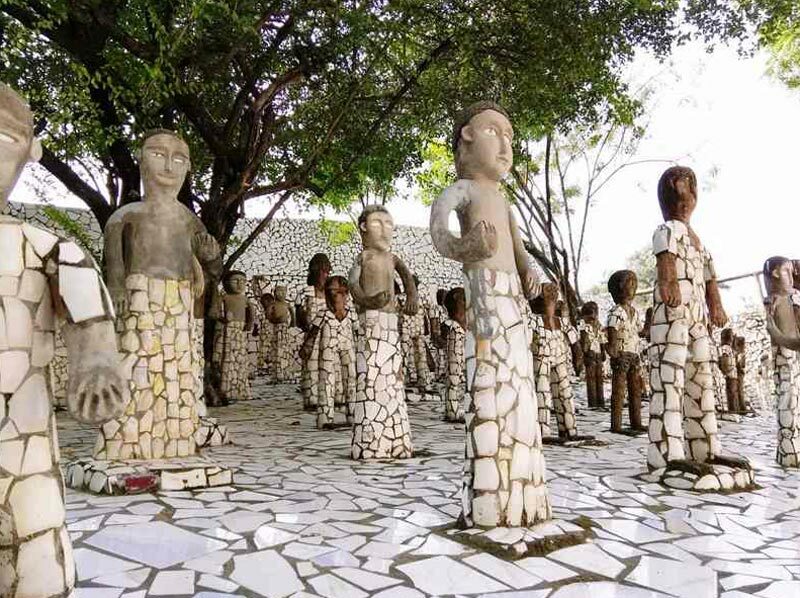 The credit of its foundation goes to Dr Nek Chand who was the road inspector in the Engineering department of Chandigarh. Then visit to Sukhna Lake that lies in the foothills of shivalik range. People visit in the morning to enjoy fresh breeze. It serves as a picnic spot and good place for water activities. After that visit Rose Garden which is Asia's largest rose garden. It contains more than 17,000 plants and over 16,000 varieties of roses. The venue serves annual rose festival or festival of gardens. In the evening enjoy shopping in sector 17 market. Back to hotel, overnight stay in Chandigarh hotel. Anandpur Sahib After breakfast, drive to Anandpur Sahib from Chandigarh. It is one of the most important sacred places of the Sikhs and is closely linked with their religious tradition and history. It was founded in the year 1664 by ninth guru, Sri Guru Teg Bahadur ji. The Guru purchased this site from the ruler of Bilaspur. After that visit Sri Kesgarh Sahib, it is located in the centre of Anandpur Sahib. It is also known as Takht Sri Kesgarh Sahib. It was the place where Khalsa was born. Than proceeding to Bhakra Nangal Dam. It is the world's second highest straight gravity dam built across the River Satluj. Dam derives its name from a village called Bhakra, now it is submerged in Gobindsagar reservoir.Overnight Stay at Chandigarh.